Sugar, it’s a modern day addiction. Implemented within our diets on a regular basis, we can’t live with it and we can’t live without it. It gets worse, in an effort to endorse ‘low fat’ products, naturally occurring fats are being substituted with high amounts of sugar. However, recent research suggests that fat may not be the problem. In fact, sugar may be a much bigger threat to our overall health, including cardiovascular health, inflammatory disorders and prostate enlargement. 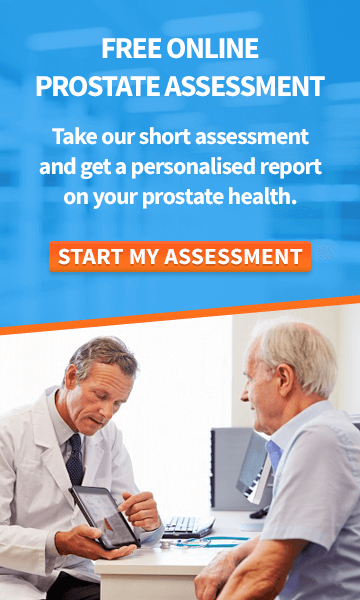 For men over the age of 50, at risk of developing prostate disease, this is worrying news. In this post I will be discussing how sugar can deteriorate your prostate and what steps you can start taking to keep sugar at bay. Studies have suggested that men with high blood sugar and those who are obese are at a greater risk of an enlarged prostate. Researchers studied 422 men and found that those with high blood sugar were 3 times more at risk of developing an enlarged prostate. Although this was a small study, which may need to be expanded on with an increased number of participants, it does provide a worrying insight. Furthermore, processed sugars tend to have inflammatory effects on body tissues in general, thereby contributing to prostate inflammation and enlargement over time. I frequently see many people struggling to maintain good blood sugar levels and insulin levels nowadays because of these dietary imbalances. While the word ‘fat’ has many of us shrinking away from the scales, it should be noted that not all fat is bad. As a result of a lack of nutritional education, many of us have become fat phobic, not realising that fat actually has an important place in our diets. 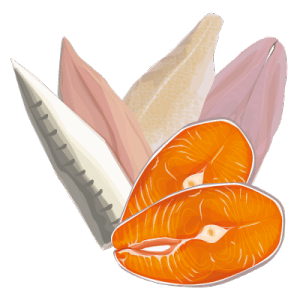 Nutritional and healthy fats include omega-3 fatty acids, omega 6 fatty acids. Nuts and seed- a handful of macadamia nuts contains high amounts of vitamin B1, magnesium and manganese. In fact just one serving (30g), provides 58% of manganese. 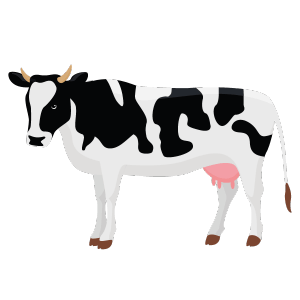 Grass fed animals- According to a study, grass fed meat contains significantly more omega 3 fatty acids and conjugated linoleic acid than grain fed. So rather than consuming grain fed meat, try to opt for grass fed. Cold water wild caught fish- Sadly this doesn’t mean a greasy fish and chips form your local chippy, but fresh cold water fish. The habitat that your fish is sourced can drastically affect its nutritional value. Some studies have shown that Farm-raised fish may contain higher levels of contaminants than wild, or wild-caught fish. 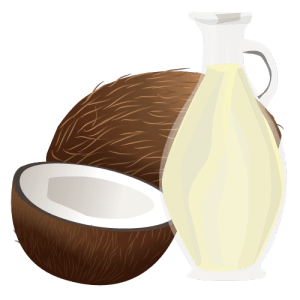 Coconut oil- Coconut oil is another good source of fat, filled with medium- chain fatty acids (MCFA). MCFA blocks not only the conversion of testosterone into DHT but also stops its toxic effect. A study in the Journal of Pharmacy and Pharmacology showed results that coconut oil significantly reduced the size of the prostate gland. Avocados- Good news for all you avocado lovers out there! 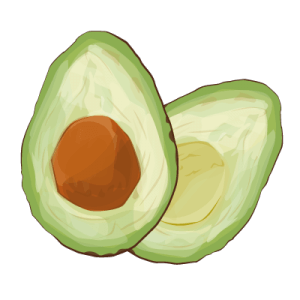 Avocados contain healthy fats and nutrients which benefit your health and can help to reduce the painful symptoms associated with BPH. 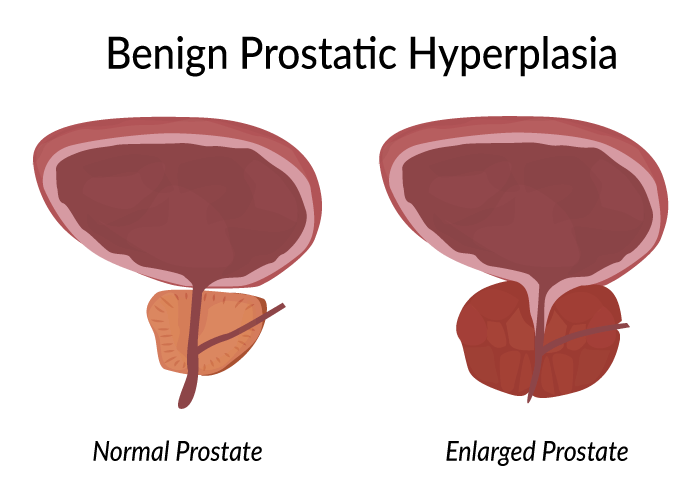 They have beta-sitosterol, which helps urinary flow, decreases inflammation of the prostate. Fat plays an important role when it comes to our health, helping to keep our brain healthy, insulating organs and providing energy. For a great guide of many nutritious healthy types of foods and fats, click on your free ketogenic diet guide here. The worst type of fat that should be avoided is trans fat. It is a byproduct of hydrogenation, which is used to turn oil solid as to prevent it becoming rancid. However, as a result of this process when the oil is heated its goodness is depleted and it becomes unhealthy. When a ‘low fat’ diet become the hype, many foods began to substitute fat for sugar. However, the problem is that unlike fat our bodies have a very minimal capacity to store sugar. As a result of a modern lifestyle corrupted with excess sugar, our glycogen stores is quickly overwhelmed and the, excess sugars consumed is typically converted into excessive fat stores. This is one of the main contributors to our obesity epidemic, with an estimated 40% of American adults being obese. Reducing your sugar intake is not easy, especially when you have a hectic schedule. However, taking the time to cut back on sugar could have a massive impact on your prostate health as well as your health in general. Dark Chocolate- For many of us giving up chocolate is a scary thought. If you struggle sacrificing your daily candy bar, try swapping it for dark chocolate. 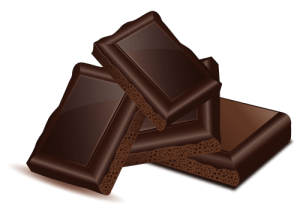 Dark chocolate (85%) contains antioxidants and boasts many health benefits. It is high in fat and low in sugar but even so should be eaten in moderation. 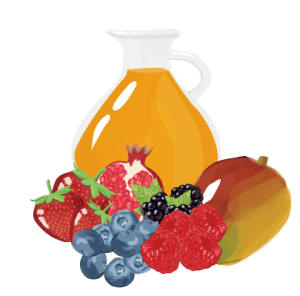 Avoid Fruit Juice- Although it contains the word ‘fruit’ in, many fruit juices are in fact low in fruit and high in sugar. Shockingly some fruit juices contain as much sugar as a can of coca cola. Instead of drinking juice, opt for a fresh piece of fruit. Read Labels- When shopping, always read the labels. You will be very surprised to discover how much sugar a takeaway sandwich, a tin of beans or a can of soup can have. Although many processed foods are considered savory, they could have as much sugar as a bar of chocolate! Taking the time to read and compare labels could really help your waistline. Avoid Eating Out- Unless you go to a restaurant where you know that the food is of high quality and fresh ingredients, it could be best to avoid eating out. 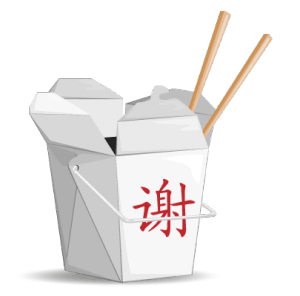 Takeaways can be jam packed with sugar, with popular chinese takeaways such as orange chicken and sweet and sour chicken containing three times the WHO recommended daily limit, and even more sugar than a regular-sized Chocolate Triple Thick Shake from McDonald’s (63.09 g). Although avoiding sugar may be difficult, it is not impossible and there are a number of ways of reducing your sugar intake. Remember that not all types of fats are bad and many types are needed for your body to function properly. By exercising and having a healthy lifestyle you can improve your prostate health significantly. The power is in your hands. Ben Ong is a best-selling author and widely regarded as one of the world’s leading experts on natural treatments for metabolic conditions such as prostate disease and type 2 diabetes. 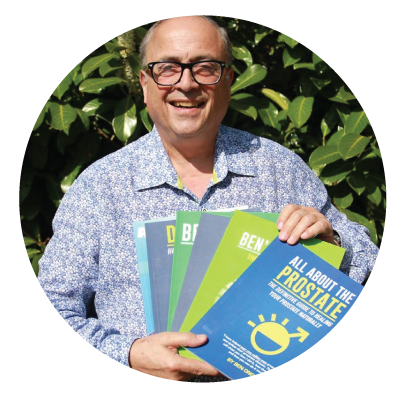 He founded Ben’s Natural Health and has worked for over 20 years providing a range of high quality, clinically effective, all-natural supplements for BPH, high PSA, high blood sugar, sexual dysfunction, and others. 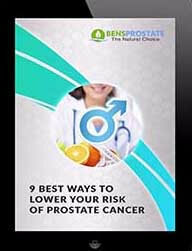 I know that study, diet, exercise and supplements help in this battle against prostate health improvement. The battle is within the cravings! I’ve always said I need someone to follow me around and knock the junk food out of my hands before I eat it! SUGAR is the topic – avoid at all costs. Accepted. But HONEY is never mentioned – so, is that OK? Ben, am I mistaken or does your total health exclude Saw Pametto? Hi Thomas, no it does not contain saw palmetto but Prostate Power does=> https://www.bensnaturalhealth.com/prostate-health/bph-inflammation/ben-s-prostate-power-new.html. If you have any further questions please contact [email protected]. Hi Neil you can reorder Total Health here https://www.bensnaturalhealth.co.uk/total-health-vegicaps.html or can order over the phone on our toll free number +44 (0) 845 423 8877. For Total Health it’s next day delivery with DPD. If you have any further questions please get in touch at [email protected]. I wish you good health, Ben. Hi there lots of good news in there for an avacado loving coconut oil muncher like me been heading towards a keto diet for a while now …Here’s the question ..I’ve made big reductions in my sugar intake but are some types of sugar less toxic than others eg modified corn starch syrup/ beet sugar versus honey or organically grown cane sugar? 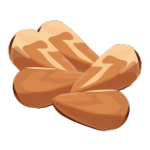 sucrose in honey, fruit, and starchy vegetables. comparable. I recently published a blog post about whether honey is a healthier alternative to sugar that might be of interest to you. Check it out here=> http://www.bensdiabetes.com/is-honey-a-healthier-alternative-to-sugar/ I hope you find it useful. Best wishes, Ben. So, what are we supposed to do, what are we supposed to eat? How do we know if the fish are fresh water, the cows are grass fed, the fruit juice has no sugar. We are at the mercy of whatever is told us whether it is true or not. Maybe worrying about what you are eating is a bigger detriment to health than what you actually eat. Great and timely article from Ben. I would also like to have had some information on Carbs and their relation to sugar intake. Also Carb blockers and if they really do what they say they do. Ben, as you say, sugar does a lot of damage as it loads up in the bloodstream. The pancreas can’t produce enough insulin to help when it is fattened. How then can the fat of the Pancreas be reduced? Pancreas fat must be done away. But how? Do you, Ben, know this health secret? Tell your readers now. Hi Cesar, I have written an article about the link between sugar and prostate cancer which you can access here- http://www.bensprostate.com/this-is-what-sugar-does-to-your-prostate/. I hope you find it an interesting read, wishing you good health, Ben. Treatment, the cancer is inactive thanks in part to advice from Ben and homeopathic treatment. Thanks Ben!